Take Action: Save 6 wild horse herds BLM wants to wipe out! As the new Director of Ecology and Conservation at Protect Mustangs and a concerned Carson Valley resident, I attended the Bureau of Land Management’s (BLM) “Carson City District Draft Resource Management Plan (RMP) / Environmental Impact Statement (EIS)” meeting at the Spark’s Nugget hotel casino on Tuesday, January 13, from 5 to 7 pm. I spoke with several BLM officials including John Axtell, the Wild Horse and Burro Specialist for this district, and Leon Thomas, Field Manager for the Sierra Front Field Office. I voiced my concerns that stakeholders who previously gave much input for increased numbers and resources in regard to wild horses were being ignored in the Draft Resource Management Plan. I heard the overview explanation of the document by Colleen Sievers, RMP Project Lead, and instructions for reviewing it. I had given earlier input during the 2012 Scoping meetings in Carson City, along with many other pro-wild horse stakeholders. It’s important to note there are two new wilderness designations that have just been passed by Congress for this area: Pine Forest and Wovoka Wilderness Areas. There are five alternatives presented in the RMP document, one of which is No Action, or status quo, that will include improvements for Sage Grouse survival, but little else. Another is for maximizing resource exploitation that would be disaster for many natural values upon which the long term survival of life depends. Another (Alternative C) is for maximizing conservation of nature, and another is for bringing a so-called balance of these (Alternative E). This is the preferred alternative although it does not allocate enough land, water and forage for native wild horses who are needed to reduce wildfires, restore balance to the ecosystem, and reverse desertification on public land. The Conservation Alternative would greatly reduce livestock grazing and expand wilderness designations but pro-wild horse stakeholders and native wild horses themselves appear to have been ignored. Wild horses should be regarded as native restorers of these natural ecosystems, but in the BLM’s Draft RMP there are serious errors which imply that they are non-native invasive pests with no value to the ecosystem. This, of course, is false. John Axtell told me that there was not enough forage or water in these areas and that their numbers were too low. However, he conveniently failed to mention how cattle and sheep have been given the great majority of forage allocations in these same areas, or how the BLM has intentionally failed to exercise the wild horses and burros’ Implied Federal Water Rights that come with any major federal act of Congress in order to secure their basic survival requirements. The areas that the BLM appears to be planning to zero out in the preferred alternative includes some HMA’s north of Reno such as Granite Peak and Flannigan that have been assigned truly ridiculous, low appropriate management levels (AML)—plus or minus 20 or so horses. The minimum number for a genetically viable herd is 2,500 wild horses, according to the IUCN Species Survival Commission Equid Specialist Group and these levels are even a far cry from the suspect 150 individuals that BLM documents often cite as being genetically viable for a population. BLM also wants to eliminate the historic Wassuk wild horse herd in the Wassuk HMA just north of Mt. Grant–where Axtell told me about 125 wild horses still survive. Axtell claimed there was not enough forage for the horses here. I can’t believe this. I have repeatedly visited this wonderful spirited herd of Spanish-type mustangs and over many decades. 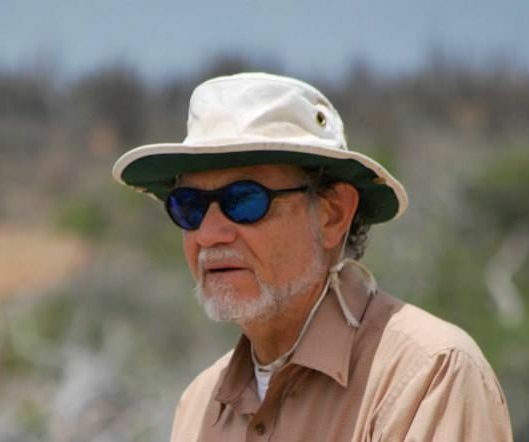 Nevadan biologist and teacher Steven Pelligrini studied the Wassuk herd for his Master’s Degree in biology at the University of Nevada-Reno. His thesis was presented to the public and to the Congress in support of the passage of the Wild Free-Roaming Horses and Burros Act of 1971, when he went to testify together with Wild Horse Annie and his professor Dr. John Pontrelli of UNR. The Carson City BLM’s RMP is targeting our wild horses for removal yet it is mandated to protect them. There exists large-scale public support for them both among the local public, nationally and internationally. We must stand up and fight for the Wassuk wild horses and for the other venerable wild horse herds that are being dishonestly used as scapegoats for abuses attributable to uncaring people. I noticed that at the meeting leaders of the Toiyabe Sierra Club and long time wild horse enemies, were present, and engaged with the BLM wild horse specialists and other officials. It appears they have been working to undermine the wild horse presence on public lands for many years, and I am very disturbed about this. In the “Toiyabe Trails” publication that goes out to many thousands as a free quarterly publication, their President, Tina Nappe seems to be given carte blanche to badmouth wild horses, while those who used to be afforded the opportunity to reply, such as myself, no longer are given this basic right, even in the form of a short letter to the editor. In spite of the horrible news in the RMP, I was urged to make a strong statement concerning my reasons against the proposed “zeroings out”. These would include how the wild horses are not getting fair grazing allocations compared to livestock in their legal areas, failure to develop or fend for watering sources for the animals and illegal fencing prohibiting their “free-roaming” lifestyle, an inherent part of the Wild Free-Roaming Horses and Burros Act. Protect Mustangs is calling all wild horse supporters to speak out strongly in an informed and intelligent manner, for the wild horses and burros of the Carson City BLM District. This RMP/EIS revision will govern land use policy for the next 15-20 years and we must not allow it to be a death sentence for the wild horses and burros, which it largely appears to be. This is the public’s chance to improve the treatment of the wild horses and burros, and we cannot allow another act of subterfuge. 1.) Both horse and burro evolution originate and have immense multi-million year duration in North America. 2.) As post-gastric digesters, different from ruminant digesters, the equids truly restore balance to the North American ecosystem. There is a lopsided preponderance of ruminants today, encouraged by established rancher, hunter, and other linked interests. 3.) Natural predators must not continue to be persecuted and eliminated, such as puma and wolf, natural predators of the wild equids. To be most effective, please make your own personal analysis of the pertinent sections of this document about which you are knowledgeable and/or concerned, especially the wild horses and burros. You can submit your comments electronically by email to: BLM_NV_CCDO_RMP@blm.gov or by US mail to: BLM Carson City District, Attn: CCD RMP, 5665 Morgan Mill Road, Carson City, NV 89701. Send a copy of your comments to your two senators and your representative asking them to intervene. Thank you for standing up for the wild ones!